Applegate offers Heating & Cooling, Installation, Insulation, and 24/7 Maintenance. Give us a call today. As winter approaches, now is a better time than ever to prepare your home for the weather to come. Aside from pulling out your winter coat, there’s a variety of things you can do around the home to reduce energy usage and ultimately maintain optimal comfort within your Michigan home. While many practices within “winterizing your home” will keep heating bills lower and require less work for your furnace, home insulation remains the best way to maximize the comfort levels within your home—and that goes for every season. Considering Michigan’s harsh winters, however, it’s good practice to insulate your home before winter hits. At the very least, allow Applegate to help you in preparing your home for winter this year. Like we said, aside from having your home insulated with Applegate’s premium cellulose, there’re quite a few things you can do around the home to prepare for winter each year. 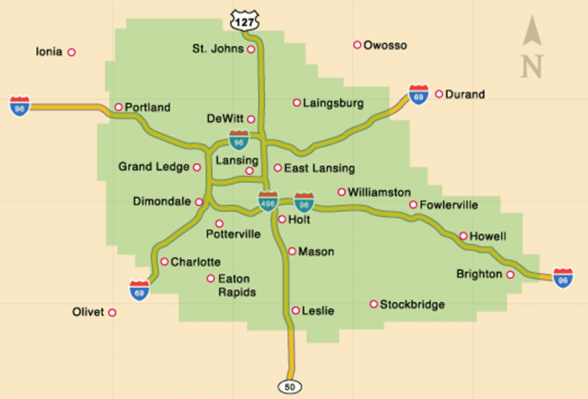 First thing’s first: every Michigan homeowner should have their furnace inspected annually. And, since winter temperatures can put excessive strain on your furnace, it’s best to perform a pre-winter furnace check up to ensure everything’s running smoothly before the frigid weather hits. Of course, you can perform your own inspection, but to be sure your furnace is running at peak efficiency, an Applegate expert can come out and inspect it for you. While we’re at it, we can even perform a home energy audit to see which areas of your home are increasing energy costs. Now, let’s take a look what else you can do in preparing your home for winter. Place draft guards on the doors leading to the exterior of your home. You can purchase these at any department store, but you can also roll up a towel and place at the foot of the door. Insulate your windows. You can purchase specially-made window film, or use plastic wrap, though your best bet is replacing them completely with our Envirosealed windows. Replace your furnace filters. This should be done about every 3 months, but you should always replace it as winter approaches for optimal efficiency. Insulate your home with Applegate’s premium cellulose insulation! As mentioned, the list of tips above, as well as the annual furnace inspection, are great ways to prepare your home for the oncoming winter. However, insulating your home with Applegate is the most effective means to reducing energy costs and maintaining optimal home comfort. You see, without proper insulation, outside air can make its way into your home, while the air inside your home can escape. This obviously puts extra stress on your furnace and alters the temperatures within the home. Plus, it’ll have the same effect on your A/C come summer time. Prepare for Winter with Applegate! While there’s plenty you can do to prepare your home for winter, your best bet will always be having your home insulated through Applegate. In doing so, you’ll reduce energy costs, extend the life of your furnace, and keep your home comfortable at all times. If you’d like to be prepared for this upcoming winter, call Applegate Home Comfort today! You can contact us here or reach us at 517-337-7700. Keeping your home comfortable, clean and safe is our main goal at Applegate Home Comfort. Most of our customers come to us looking for our quality cooling and heating services, but today we want to also highlight the products we offer to help maintain your home between services. Whether health and safety are your top priorities or comfort and efficiency are more your thing, we’ve got you covered with a wide range of products. Read on below to learn more about the products we offer to our Michigan area customers, or, if you already know which product you’d like to purchase, click here now to head to our page! If you’ve lived in the Midwest for long, you’ll know just how intense the summer humidity can be. Furthermore, ongoing humidity causes damage to your home and furniture, leading to issues like mold, mildew and a compromised home structure. Mold, as most of us know, is also a safety issue when it comes to the health of those living inside your home. In fact, symptoms of mold exposure include headaches, sinusitis, joint pain, chronic cough, fatigue and memory or concentration issues. Safe to say, mold is a big deal! Purchasing a dehumidifier significantly lowers the risk of mold. Similar to humidity, dry air can have lasting and harmful effects on your home and health. During colder, winter months, the dry air from your furnace can wreak havoc on your skin, airways, furniture, and home. To combat issues like these, we recommend purchasing a humidifier to create an optimal home environment. Most people think of smog and air pollution as existing outside of their homes and are shocked to find out that the air quality inside their homes actually tends to be worse. A mix of outside pollutants, pet dander, chemicals from cleaners and fragrances, possible radon or mold, dust mites and volatile gasses from furniture (such as fire-retardants) all lead to pretty polluted air. In order to combat these allergens and irritants, Applegate offers two different types of air purifiers to keep air quality inside your home optimal and healthy. Our Central Air Cleaners are hooked into your cooling and heating and essentially filter harmful substances and dust out of your air. Similarly, we also offer UV Air Purifiers, which connect to your cooling system to eradicate mold spores which tend to grow in that moist environment. Both options are wonderful additions to any Michigan home. During harsh Michigan winters, severe storms and outages are a definite possibility. While it’s not fun to think about the likelihood of such an event, we believe that the saying, “It’s better to be safe than sorry,” absolutely applies here! Not only are the generators we offer made by one the leading suppliers backup power, but they also have the ability to power your home for multiple days in the event of an emergency giving you peace of mind should you ever need it. If you’re ready to begin the process of protecting and upgrading your home, give us a call! We’re happy to assist with your questions and concerns and will confidently help you determine which services and products will best fit your needs. Call 517-337-7700 to schedule your free consultation today, or click here for more information about our company! geothermal, heating and cooling Lansing, Michigan.